In 2016 Pauillac has had the most collectively exciting vintage vintage since 2010. The texture of the tannin is remarkable and the balance is incredibly appealing. I’d go as far to say that, on the basis of the wines I tasted, this is my favourite vintage here since 2009. It has some of the qualities of 2005 and 2000 but the tannin feels more supple than both of those vintages to me [and tannin management has come a long way in the last ten to fifteen vintages]. My only caveat is that, owing to a shortage of time I missed out on tasting some old favourites including Château Batailley, Château Haut-Batailley, Château Lynch Bages, Château Pichon Longueville and Château Pichon Lalande. I hope to taste these wines in the not too distant future and will update this post when I do. In the meantime, here are my notes on fifteen wines from Pauillac in 2016. It includes notes on all the first growths and Château Pontet Canet. Château Latour surely represents the pinnacle of winemaking achievement in Bordeaux. The majestic terroir beside the Gironde, the expertise of the technical and administrative team led by Frédéric Engerer as well as the general wherewithal and financial largesse of owner François Pinault all have coalesced to make Latour arguably the greatest red wine in the region. It has many rivals and is sometimes eclipsed but it is surely the benchmark to which all of Bordeaux’s [and the world’s] greatest Cabernet producers aspire. 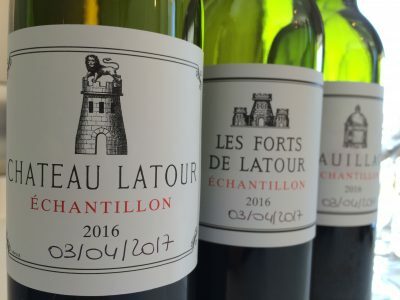 In 2016 Château Latour delivers the goods in spades but as it doesn’t do en primeur these days, you will have to slum it with their latest cellar release, Latour 2005. It is wonderful and built to last a century. Eric Kohler has supervised an impressive set of wines at Château Lafite-Rothschild in 2016. The great qualities of the 2016 vintage are writ large in the wines. The aromatics are beguiling [wonderful freshness and vibrancy] and the tannins succulent and textured. There is also a delicacy and digestibility to the wines which is attractive. Carruades de Lafite has plenty of vibrant, bouncy fruit. It has real beauty. Château Duhart-Milon is more reserved but with multiple layers and depth. Château Lafite-Rothschild looks to be best of recent years. It is more impressive at this stage than the successful 2014 here. 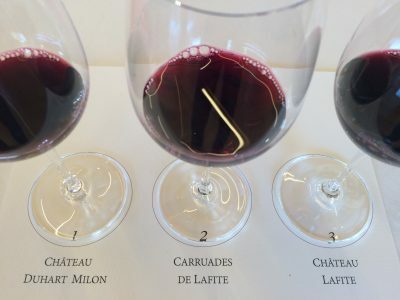 In fact there are echoes of the truly great Lafites in 2009 and 2010, albeit that 2016 appears to be fractionally lighter in body than those two vintages. A great set of Pauillacs have emerged from the Domaine Baron Philippe de Rothschild stable in 2016. This is a perfect vintage for these terroirs. Château d’Armailhac may have produced its most balanced and refined wine yet. It vies with 2009 and 2010 here. This is true also of Château Clerc-Milon which has probably made its best wine since the very impressive 2010. 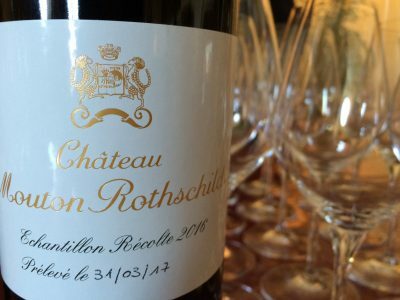 Le Petit Mouton de Mouton Rothschild is just as seductive as the precocious 2012. Great stuff! And what of Château Mouton-Rothschild itself? Technically it has more tannin than 2010 but you wouldn’t notice, such is the silky texture here this year. The wine has the most remarkable depth and balance. It must surely go down as one of the great Moutons. Pessac-Léognan has produced some brilliant wines in 2016. Many have wonderful plush fruit tones and that moreish texture that defines the vintage. 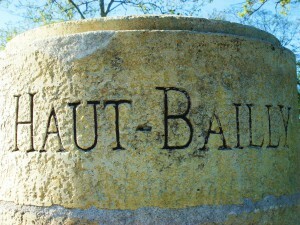 The knockout red this year is Château Haut-Bailly. For me it just pips Château Haut-Brion, Château La Mission Haut-Brion and Château Smith Haut Lafitte at this early stage. That’s not to say that these latter properties haven’t made belting wines [they have] but the purity and depth of Haut-Bailly is amazing this year. There is a bevy of other wines that are wonderfully lush and forward. To this extend I think 2016 might prove a relatively precocious, early maturing year here for many of the reds. 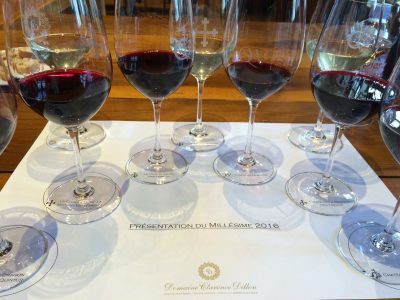 Wonderful wines have been made too at Domaine de Chevalier, Château de Fieuzal, Château Les Carmes Haut-Brion, Château Malartic-Lagravière, Château Haut Bergey and Château Olivier [lovely purity]. Château Bouscaut has produced a blinder. It is textured and lush. Château Pape Clément, usually right up at the top of the tree, felt a little subdued when tasted back in the spring. Expect this to come good during elévage. As you’d expect excellent red wines have been produced here in 2016. Both Château Haut-Brion and Château La Mission Haut-Brion show poise and depth. Qualitatively speaking the wines felt slightly pipped to the post by the Pauillac first growths, and in Pessac-Léognan by an exceptional Château Haut-Bailly, but these are still very impressive efforts. The alcohols are more manageable than some of the recent years here and are a degree down from 2015. The drought and summer heat proved a challenging one for the whites. Don’t get me wrong, La Mission Haut-Brion Blanc and Haut-Brion Blanc have still made seriously good wines, but they are slightly off the pace of the best white wine vintages here [2010, 2012, 2014 and 2015 immediately spring to mind]. Château Beau-Site, Cru Bourgeois, St Estèphe, Bordeaux, France, 2009. Mid depth; lush red fruits; some pain grillé tones; blackcurrants; palate ripe and round with plenty of fruit and supple tannin. Very enjoyable. Drink now-2020. Jeremy I tasted these the week before last in the States and with 3 hours only got to about 60 wines total but was sure to hit all wines, sometime twice, that were of personal and purchase interest for me. We are fairly similar in our assessment with a few swaps between your level 1 and my level 2. Troplong Mondot, Pavie Macquin, and Canon Lagaffeliere were tops for me. Figeac was not showing well, I have loved this wine from literally every vintage I have ever had, its a no score for me to be tried again. Cab sauv in the C. Lagaf gave it a nice extra tannic beam of structure on all the lush fruit, Mondot and Macquin being neighbors and have lots of limestone soils are nice twins. I also think that Macquin 10 blows the doors off their 2009. Bordeaux 2011 is a fascinating vintage, though not for the reasons most of the producers would have liked. As you’d probably expect from Bordeaux’s most consistent appellation, no one has put a foot wrong in St Julien in 2009. Pessac-Léognan has a good claim to being the most successful Bordeaux commune in 2007. The quality of its dry white wines are excellent and the reds are the most attractive in the vintage.